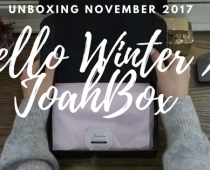 Hello there, Your awesome Korean Subscription Box Joah Box is now at your doorstep and we bet you are going to love it !! We took utmost care to create a box that best suits your needs, because when you and your skin are glowing, we are sparkling. 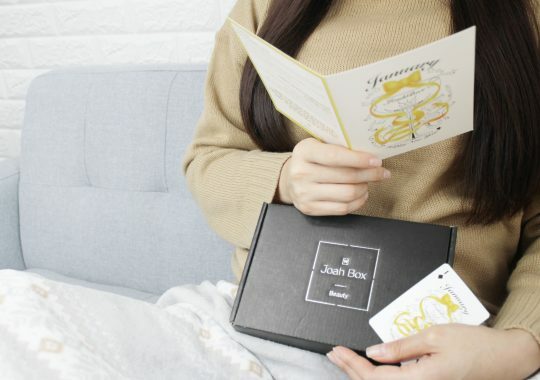 So, here is a rundown of all the Korean makeup included in your October Joah Box and how can you add them into your K-beauty routine. The October Joah Box contains either Moist or Revite A.H.C Ampoule. Ampoules are high concentrated formulas used for a “bad skin day” or a special booster. 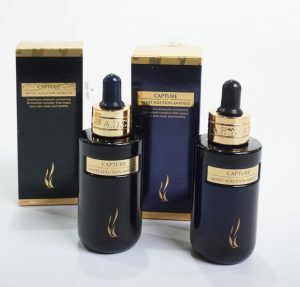 In the Korean Beauty ritual, Ampoules are used between toner and serum. Due to their high level of condensed molecules, serums can be skipped when ampoules are applied. Moist A.H.C Ampoule contains a concentrated moisturizing supply care constituting a powerful source to make your skin regain its natural moisture. Especially with lower temperatures, your skin texture is changing and need an efficient barrier. Recommended for dry skin. Revite A.H.C Ampoule, on the other hand is a double functional ampoule for brightening and wrinkle care. The fermented complex offers a natural skin protection. Furthermore, Korean cosmetics are designed to provide the perfect barricade against pollution, dry skin, and imperfection. Recommended for all types of skin. When your week is getting hectic and stress or pollution are attacking your skin, the Mimiang Skull Mask supply as the perfect companion to rejuvenate your skin and retake its natural glow. Its natural moisturizing factors bring moisture, resilience and whitening all at once. 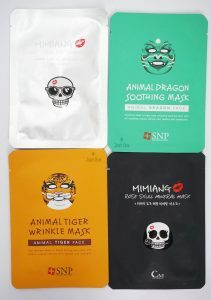 Also since skulls prefer natural, all fabrics integrated in these Korean face masks sheets are 100% natural cotton with non chemical materials used. Before using the mask sheet, clean your skin with cleanser and toner to remove the daily impurities. The mask should stay between 15 to 20 minutes on face before removal. Recommended for sensitive and dry skin. Dare to try it ? Feel the power of soothing dragon or eternal tiger! Both mask boosts your dulling skin cells with elastic energy, leaving skin radiant and resilient. Its natural ingredients will make your rough and dry skin, smooth again. The secret ingredient : Coconut Water or “the liquid of life” will add a shiny luster to your skin. Nowaday in the Korean skincare routine, the rule is #one day, one mask. Leave the mask on the skin during 15 to 20 minutes. After removal, massage the skin to penetrate the essence. Get weekend ready with these beautiful yet subtle eyeshadow shades. 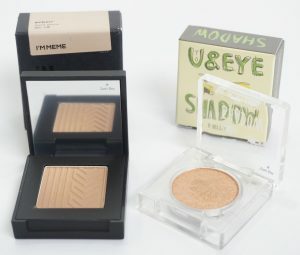 Team natural sandstone color for I’m Eye Shadow or Team shimmery beige for U&Eye Shadow? These shades have also been specifically handpicked to match any skin tone and outfit: night dress up or natural everyday Korean makeup look. Their small sizes are easy to carry on by night or day. Say hello to your next best friend! 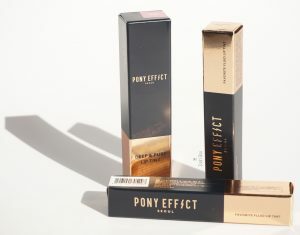 Pony effect Lip Tint is your perfect lip tint match to complete any look with style. Korean beauty is all a natural look with a pop lip touch. 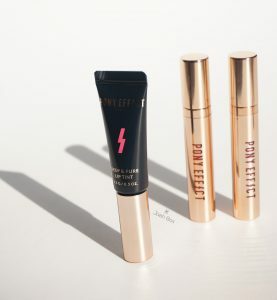 Well-known Korean makeup brand, Pony effect Lip Tints are known for theirs forever lasting. In the October Joah Box, you can find three different shades : #be agape the perfect cherry touch, #secret admirer the everlasting purple and #joyful a darker pink. Its natural color is perfect for everyday wear and to complement any glamorous outfit with perfect shine and finish. However these lipsticks are not recommended for blush or cheek tint use. Stay tune for some swatch on our Instagram account !! !